The Chicago Manual of Style celebrated 105 years in print with a lively discussion Tuesday night in I-House’s Assembly Hall. The discussion, titled “The Chicago Manual: More than a Century of Style,” treated an audience of nearly 250 students and community members to a spirited investigation of the Manual, now in its 16th edition. Moderated by host of public radio station WBEZ’s Eight Forty-Eight news magazine Alison Cuddy, the discussion went beyond the four panelists to involve audience members. The four panelists—University of Chicago Press Editors Carol Fisher Saller and Anita Samen, Assistant Professor of Linguistics Jason Riggle, and former writer of The New York Times Magazine’s “On Language” column Ben Zimmer (A.M. ’98)—fielded Twitter questions from the audience alongside those from Cuddy. The event was broadcast live via Facebook, and a live Twitter feed for the “#CenturyOfStyle” hashtag projected onto screens on both sides of the stage. As the dialogue progressed, tweets popped up commenting on the conversation and posing questions to the panel, which fueled contentious issues, including the use of emoticons in formal text, the heavily debated Oxford comma, and citations for social media, including Facebook and Twitter. “I look at social media a fair bit, and I do sometimes try to figure out how to cite things. It would be nice to know how to cite a tweet—if I’m writing about the term ‘refudiate,’ for instance, and I wanted to cite Sarah Palin’s famous tweet on it—to know how to do that,” Zimmer said. The panel also addressed more serious concerns, such as the crafting of the Manual’s guidelines, a process which Saller and Samen said is geared more toward using reader feedback to gauge literary trends than setting them. “We are not trying to shock them,” Saller said, eliciting laughs from the audience. Ari Epstein (A.B. ’11) said that after “struggling” with the technicalities of the Manual, he found the discussion enlightening in light of writing his B.A. paper last spring. “It was nice to finally see [the Manual] abstracted,” he said. In an age where new media push the Manual’s style, Samen said, it still serves an important function. “We give you an idea of the kinds of things you need to think about...when preparing your publication, in any media,” she said. 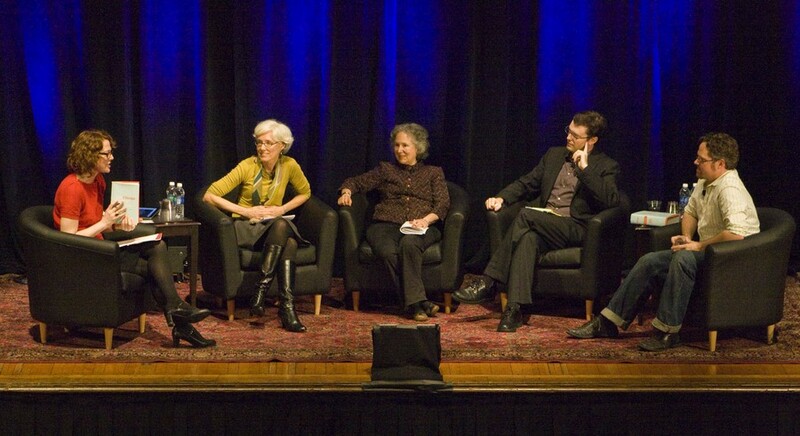 The discussion was part of Chicago Public Media’s Off-Air Event Series in partnership with the University of Chicago Press, which publishes the Manual.